After spending the last few months in Preview (Beta) mode, Microsoft has officially launched the Office for Android Phone apps to the general public. The new Excel, PowerPoint and Word apps are now universal apps for both Android tablets & phones and are available for free from the Google Play Store. If you have a device that is under 10.1″ in screen size, they are able to view, create and edit files while those with an Office 365 subscription will have every feature fully enabled. 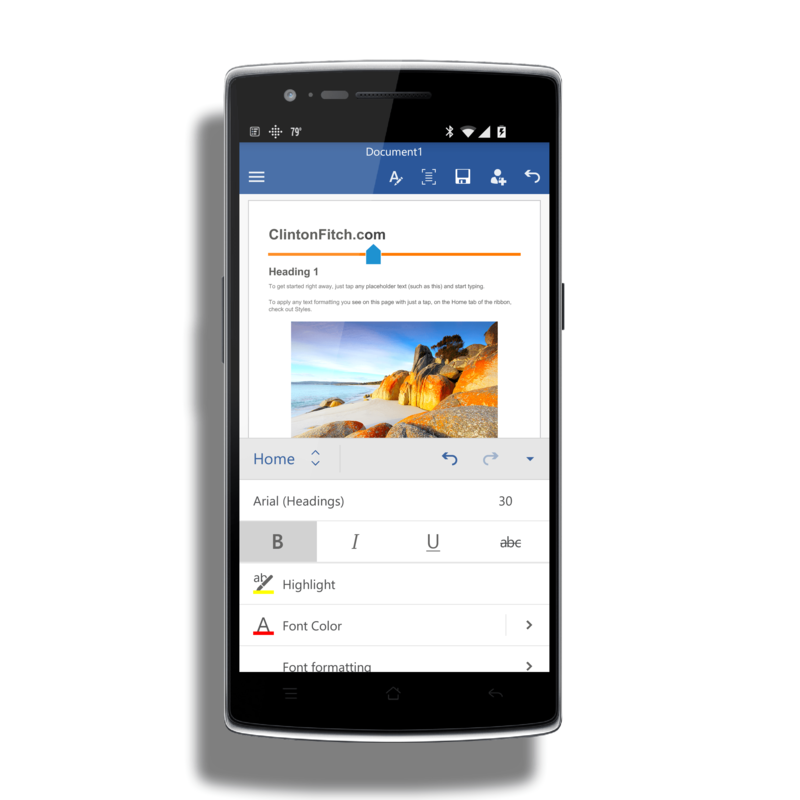 For those who keep score at home, the Office for Android new versions are builds 16.0.4201.1008. I’ve been testing the Office for Android apps for the entire Preview period and while there were a few bugs here and there, generally speaking they were all solid on performance and stability. The release today brings some additional features to the apps including support for Google Drive. integration. You can however navigate to those folders on your PC (assuming you are syncing them) and edit and save them to these other services. OneDrive support, as you would expect, is native. For it’s part, Word has also gotten the new feature of having word count and proofing support within the apps, regardless of if you use them on your Android phone or tablet. Neither Excel or PowerPoint have any new features mentioned in the Release Notes. As I put in my Quick Look posts on Word and PowerPoint (never go the Excel one done before the release), the Office for Android apps are fully featured and quite powerful. There is very little you can’t do on them that you can do on your PC save some serious formula editing with Excel and a few other more advanced editing techniques. For 99% of the world, these apps will do everything you need, continuing to drive more content creation on mobile devices over traditional PCs. If you do not have an Office 365 account, you can get a Personal account for $69.99 while a Home version (for up to 5 PCs or Macs along with the mobile apps) is $99.99 per annum.